• Objective. 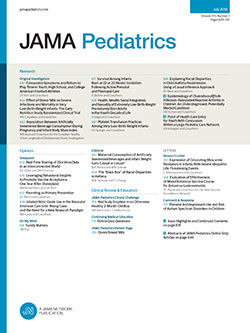 —The purposes of this study were to compare the frequency and severity of manifestations of anxiety, depression, delirium, and withdrawal in pediatric patients hospitalized in intensive care unit vs ward settings and to evaluate the impact of preexisting psychopathologic disorders on the expression of these symptoms. Research Design. —Prospective patient series. Setting. —Tertiary care pediatric center. Patients. —Forty-three subjects aged 6 to 17 years hospitalized in either the pediatric or cardiovascular intensive care unit (n = 18) or on the general wards (n = 25) were recruited to participate. Subjects were excluded if their parents were unavailable for diagnostic interview or if they could not answer interview questions themselves. Measurements and Results. —The Hospital Observed Behavior Scale, developed for this study, was used to describe objectively subjects' manifestations of anxiety, depression, delirium, and withdrawal. The Diagnostic Interview for Children and Adolescents and Diagnostic Interview for Children and Adolescents-Parents were used to determine the presence of preexisting psychopathologic disorders. As measured by the Hospital Observed Behavior Scale, subjects in the intensive care unit exhibited apprehension, anxiety, detachment, sadness, and weeping more often than did patients in the ward. Behavior was also significantly influenced by severity of illness, duration of hospitalization, number of previous hospitalizations, and presence of a preexisting anxiety or mood disorder. We found the Hospital Observed Behavior Scale to have good interrater reliability.